Explore new ways to distill actionable insights from your data that drive business growth and what’s new with Power BI capabilities bundled in the April 2019 release. Join us for the Business Applications Virtual Launch Event, streaming live on April 2 from 8:00-9:30 AM PDT. This free event will showcase the new features coming in the April 2019 Business Applications update and bring them to life through demos and discussion. 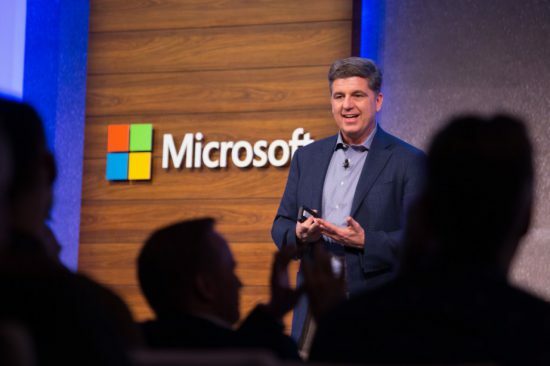 You’ll hear the latest directly from James Phillips, Corporate Vice President of the Business Applications Group at Microsoft, as he guides you through a deeper look at the new features you’ll be using soon. There has never been a better time to embrace technologies that change the way you streamline your operations, make it easier to connect with customers and drive business growth. Get a glimpse of new applications that will help you gain deeper customer insights and protect your customers from fraud. Be inspired by what Power BI, PowerApps, and Microsoft Flow can do next for your business. Enable new experiences with Dynamics 365 and new Mixed Reality applications to help your sellers sell more effectively, deliver proactive customer service as well as quickly train and onboard new employees.